Ford GT Performance, Engine, Ride, Handling | What Car? Given that the GT started life as a racing car, the most astonishing thing about it is the quality of its ride. Thumb the button that softens the suspension's dampers and, like most supercars, which have their suspension settings mulled over to the nth degree by fastidious engineers, the GT can shame a few family hatchbacks when it comes to smoothing over bumps. That’s in terms of the physical shocks you receive, but as far as interior noise goes, it’s a completely different story. This is where you appreciate wholeheartedly that this was never designed as a road car, in the way that a McLaren 720S was, for example. The carbonfibre tub you sit in, with precious little soundproofing, acts like an echo chamber as you ride rough roads. 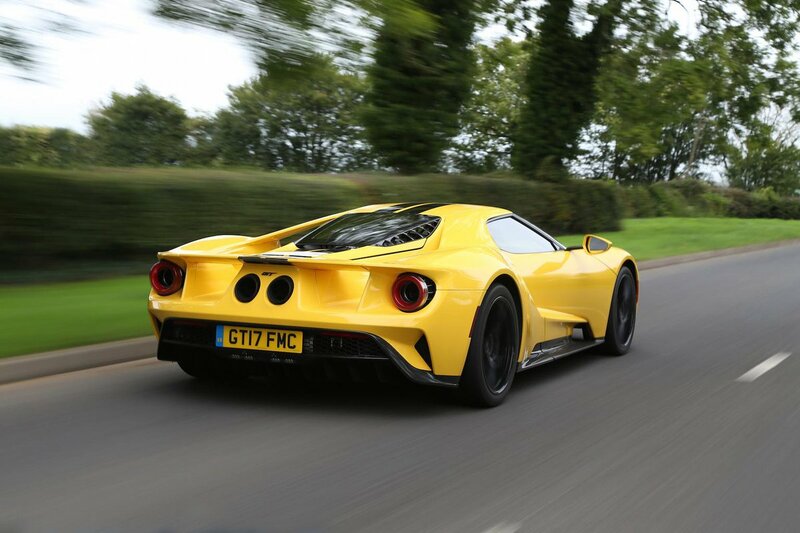 You can hear stones pinging off the car's underbody, and within the carbon bodywork, all the things that make the GT go are fizzing, clonking and whirring away. Most notable, of course, is the big V6 engine. This barks angrily, gutturally even, just inches away from your ears. When you’re on the throttle, it’s a cacophony of induction roar and the violent explosions from within the cylinders; when you’re off the throttle, it’s the wheezing from the wastegates, hurriedly venting the turbochargers' colossal boost pressure out into the atmosphere. It’s intoxicating, but never anything but very loud. What about performance, then? 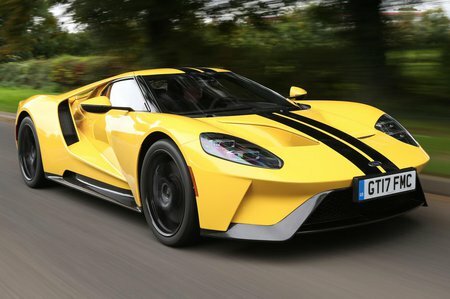 Well, it’s mighty - Ford claims that the GT can blast from 0-60mph in 2.8sec and go on to a top speed of 216mph. There's a little lag between you putting your foot down and the car gathering up the horizon at a stupendous pace. This is mostly noticeable below 2500rpm, but past 3500rpm the delay is fractional. In first and second gears, the biggest surprise is that (in the dry, at least) the two rear wheels will actually accept full throttle, even on a bumpy road, without spinning up. It’s when you get into third that you can start to appreciate fully how quick the GT is, with the rate of acceleration seeming never to drop below epic. Surprisingly, considering this car’s genesis on the track, it’s manageable. With weighty and accurate steering, the GT darts in to corners extremely keenly, and the trick suspension keeps the body supremely flat. You get more feedback from the 720S on the road, but the GT is still entertaining and, if you get brave, playful without feeling like it’s about to throw you into a hedge. On a circuit, for which the suspension drops 70mm in an instant when Track mode is enabled, it’s mightily fast and involving. Then there are the brakes: those big carbon-ceramic discs and the flip-up rear air brake haul you to a stop so quickly they could tease tears from the eyes of even the happiest soul.